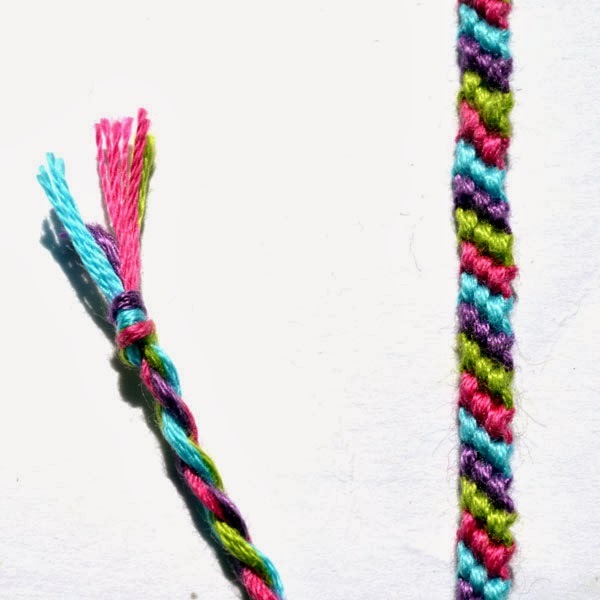 The candy striper bracelet is a good basic stitch because it is easy , fast, and has great opportunities for color choice. This is the 4-color version that is in the video, but you can use as many colors as you want. 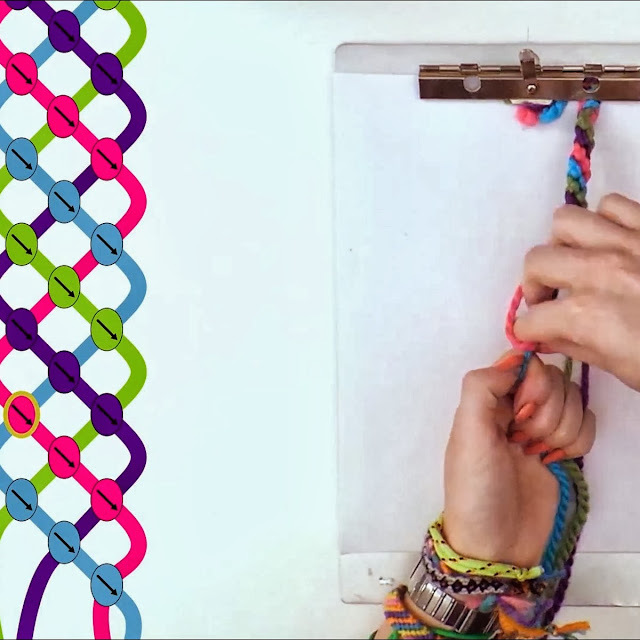 The video shows 4 ways of combining the basic half hitch stitch that helps make all different patterns. But you only use one to make the candy striper, so it is pretty easy , even if you are working from a stitch chart (EXPLAINED). So try out the new video and don't worry if you don't get it all, I included a lot of info that won't be used until the next video, Part 3, the chevron stitch. wonderful collection of bracelets.Great collection.